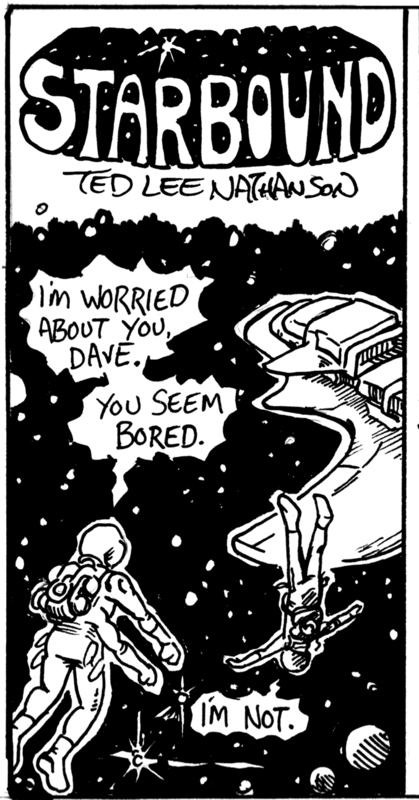 First panel of my new short series, STARBOUND, following the adventures of Dave and his alien buddy Maylox, as they cross the galaxy on an unspecified mission of indeterminate scale and duration. I’m not allowed to show the rest for right now. Also- New LCS meeting tonight! 7:30 at the new studio on 77o Eastern Parkway! Also- I got a new Studio/classroom space! More to come about that soon.